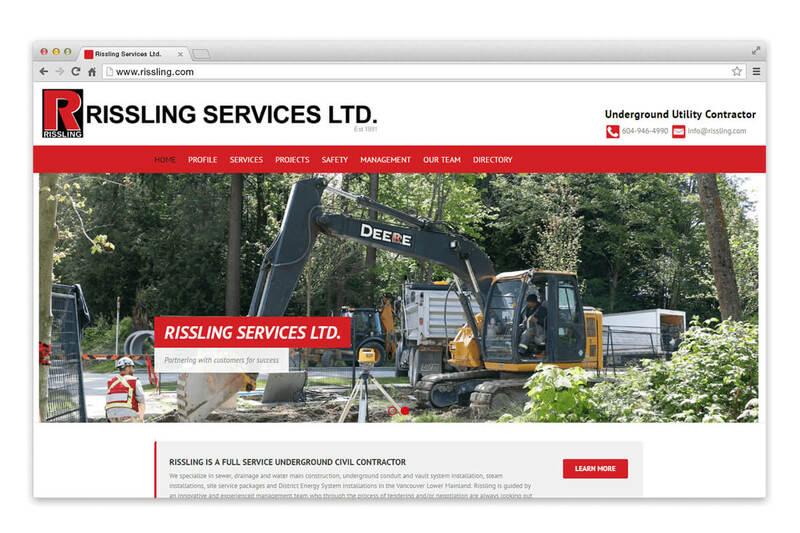 Rissling Services Ltd. | NetClimber Web Design Inc.
Rissling Services required a redesign of their website. 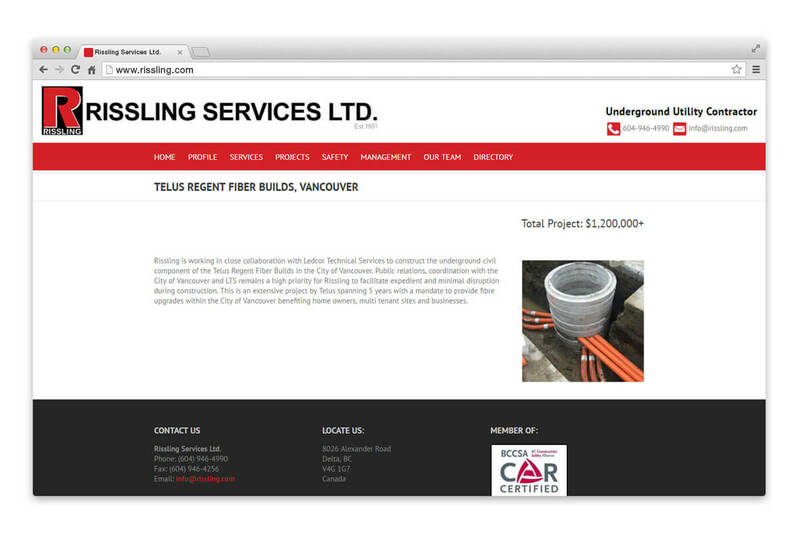 The website needed to reflect the Rissling’s original branding since their logo would remain unchanged. 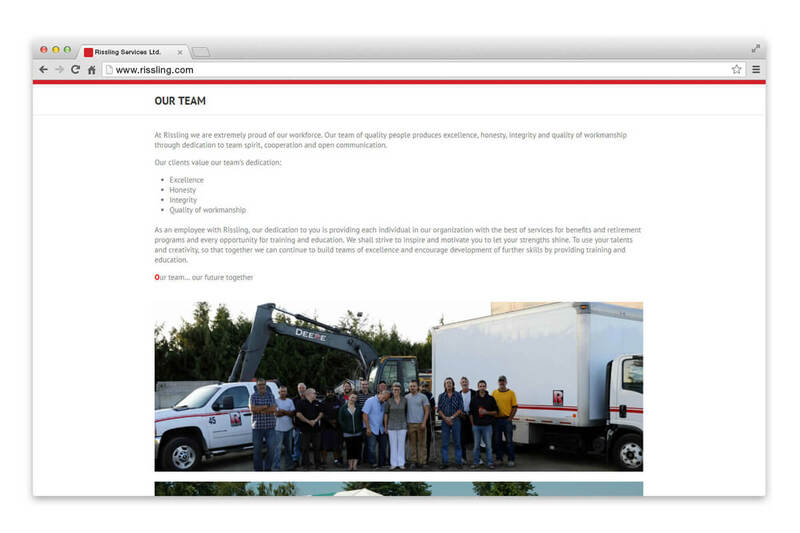 The new website displays on a white background – this allows for a more fresh, updated design which really makes Rissling’s branding colours pop off the screen. 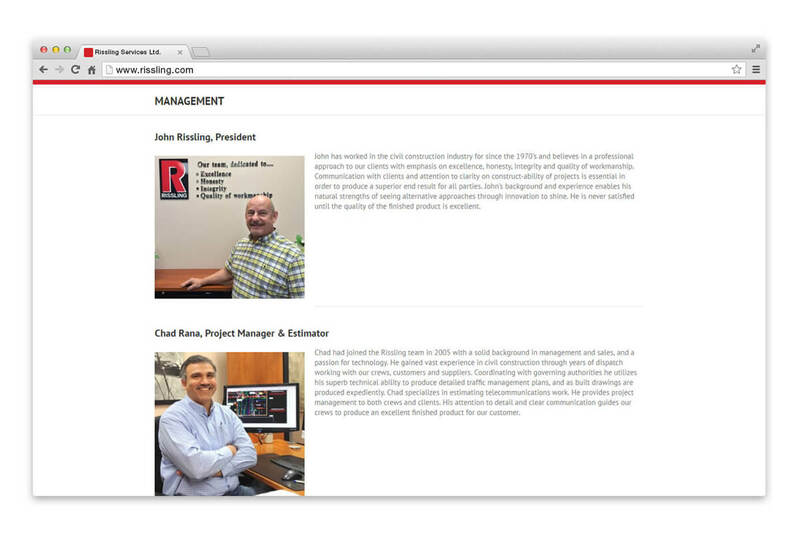 Rissling’s new site not only had to look great, but it also required some new functionality. Using the WordPress platform, NetClimber was able to seamlessly integrate a private login area for Rissling employees to utilize for orientation.